A direct replacement for the breakage-prone stock plastic spacer, the billet aluminum MM Pedal Box Spacer mounts between the pedal box and the firewall. Ever notice small, crumbled chunks of black plastic in the driver's side footwell of your Mustang? That would be pieces of your aging stock spacer. Breakage isn't surprising considering Fox Mustangs are now between 25 and 39 years old. 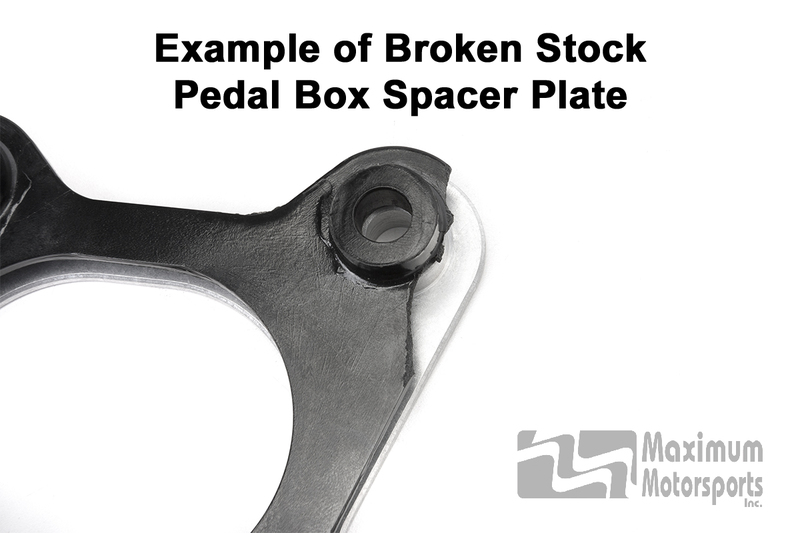 We all know old plastic tends to get brittle, and even a careful person may find the original spacer broken after removing the pedal box. Not surprisingly, Ford made the spacers from steel for the SN95 Mustang, and they are now an integral part of the pedal box instead of a separate part. The robust MM Pedal Box Spacer is located between the firewall and the pedal box. It's secured by the same four studs that pass through the firewall connecting the pedal box to the vacuum brake booster (or manual brake adapter block), or Hydroboost. Why would I ever remove my pedal box? During a conversion to manual brakes. As part of a restoration. To swap between an automatic and manual transmission. While converting to the later model Hydroboost power brake booster. To replace a damaged spacer that someone has unskillfully modified to install an SN95 vacuum brake booster. Ship US Mail - At checkout the cart will show the standard shipping charge. We'll change that to the noted Domestic flat rate price when we process your order. Ship UPS - The item price is discounted $3.00. I'm ordering more items - When you're purchasing the MMBK-30 along with any other item, the shipping charges displayed at checkout are for the entire order. 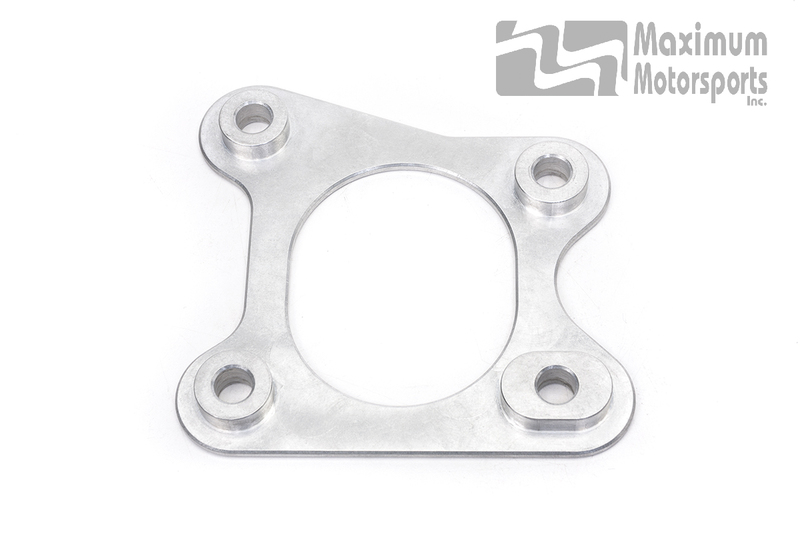 The only direct replacement available for the OEM plastic pedal box spacer. Greatly improved durability; not breakable like the OEM plastic spacer. The same thickness as the stock spacer to maintain correct pedal height. 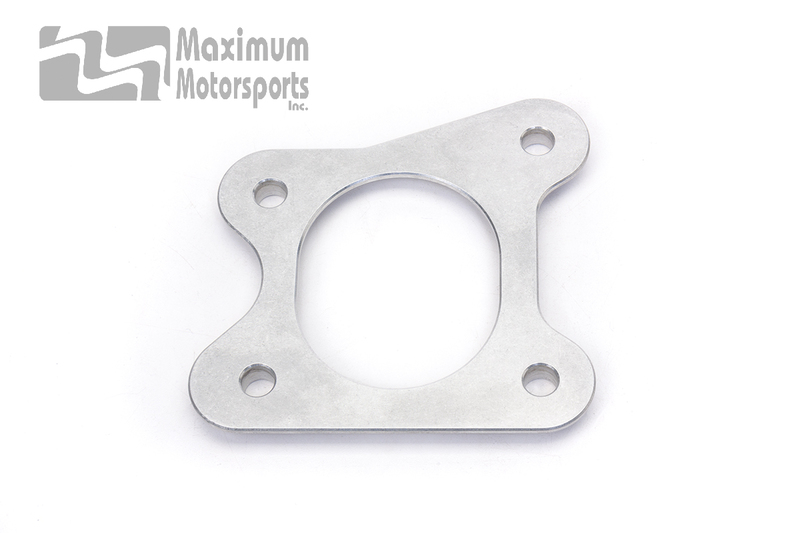 Machined from billet aluminum for strength, durability, and light weight. Same thickness as stock Fox plastic spacer. Same hole pattern as stock Fox plastic spacer. Does NOT fit Lincoln Mark VII.